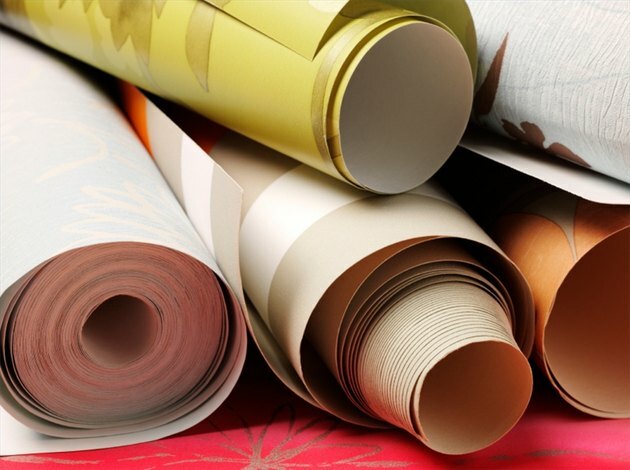 Now that you've removed your old wallpaper, what do you do about that glue that's still on the wall? Find out how to remove wallpaper glue here -- your room will appreciate the extra care and attention when you paint it or rewallpaper it again. Removing wallpaper glue is easy. It's messy and time consuming, but it's easy to do. Only work on one small area, or wall, at a time. 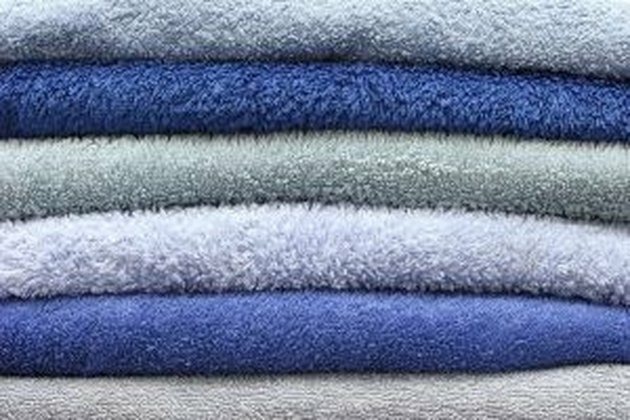 Keep plenty of towels around to help clean up with. Cover the floor in the area that you'll be working with plastic or with old towels. You could even use both to provide the maximum protection for the floor that's beneath the area you'll be working in. Plan to have a few towels around that you can grab to clean up with if you accidentally spill water on the carpet or floor. Using a bucket, sponges and arm muscles makes this job a cinch! 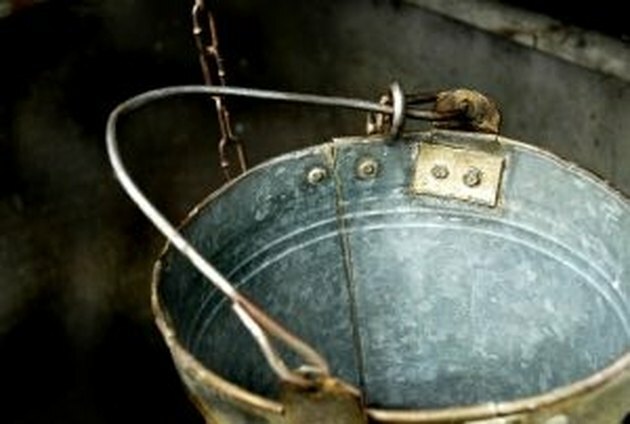 First get a bucket and fill it with warm to hot water. The water will cool quickly, so make it as hot as your hands can stand, but don't burn yourself! 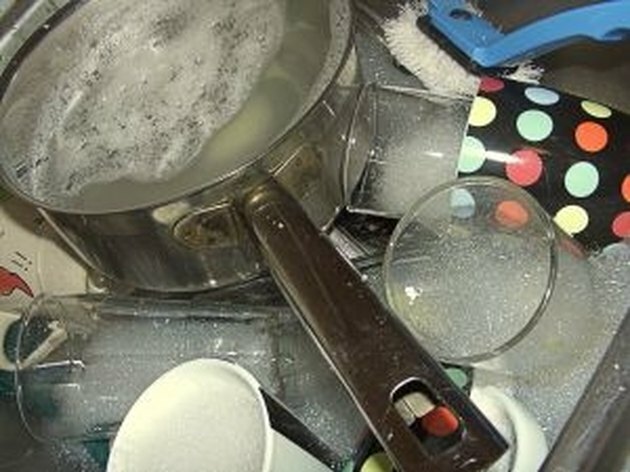 Pour a tablespoon of liquid dish-washing detergent into the bucket. The soap from the detergent will really help loosen the glue that's adhered to the wall. Scrub the walls just like you scrub the dishes. Using a sponge, scrub and wash the walls just like you were doing the dishes. 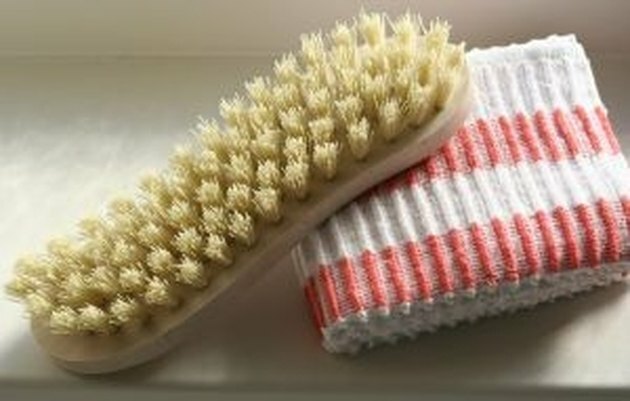 For heavy areas, use a heavy duty scrub brush. If the glue is really stuck to the wall, use a heavy duty scrub brush, something like the one pictured in this photograph, and scrub your walls. Also, make sure the water is still hot. As the water cools down, you'll need to fill it with fresh, hot water for the best results. After scrubbing your walls, empty the bucket of soapy water and refill it with fresh, clean water. Grab a clean washcloth or sponge and lightly wash your walls again. This washing job is much easier than the first because you're only removing the soapy water from the walls. If the water gets too soapy, dump it out and fill the bucket with fresh water again.